This is a fancy name for an easy dish masquerading as a difficult one. Masquerading as a difficult one: when the chicken is cooked, slice it and lay it out on the plate like a complicated preparation that you slaved over in the kitchen for hours. See what I mean? This is a great recipe to have in your back pocket for dinner parties or whatever is on your social calendar. 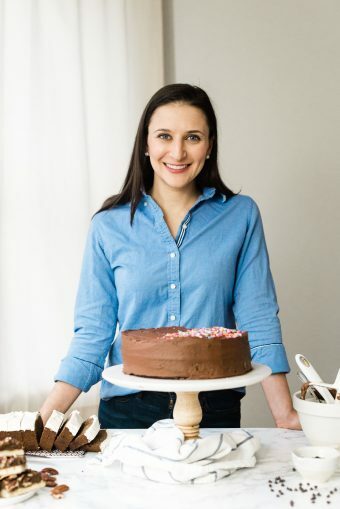 I made these while we were staying with my uncle in Connecticut recently and everyone felt so guilty that I was “slaving away” in the kitchen on my vacation while they were lounging – as though this was such a time-consuming and draining recipe to make. Don’t tell them, ok? So, needless to say, we are back from our trip and it was fun, but exhausting. This weekend, we’re off to San Francisco for a quick trip to celebrate my brother’s birthday and then we’re home for the duration of the summer. Phew. I need a vacation from my vacations 😉 So, since I’m only home for like 15 minutes, I’m cutting right to the essentials: dinner. There is nothing more satisfying than a home cooked meal after you’ve been on the road for awhile! 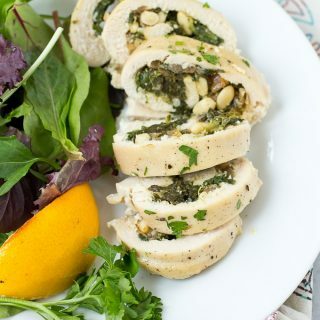 Chicken roulades sound like a complicated and fussy dish but they're really just chicken breasts, rolled around a flavorful filling and baked. Easy! Preheat the oven to 350. Grease or line a large baking dish and set aside. Split the chicken breasts between two large zip top bags and seal, leaving about 1" of the top open. Use the flat head of a meat tenderizer to pound the chicken breasts flat. 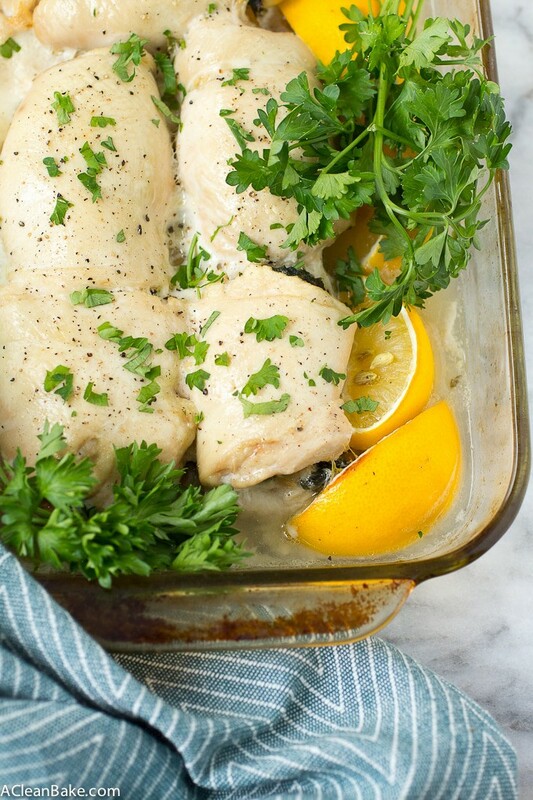 Remove the chicken and transfer to a plastic cutting board or a piece of plastic wrap. Lay them out side by side so that they don't overlap and will be easy to roll. Set aside. In a large mixing bowl, combine the spinach through spices with a fork to make the filling. Taste and adjust seasonings, if desired. 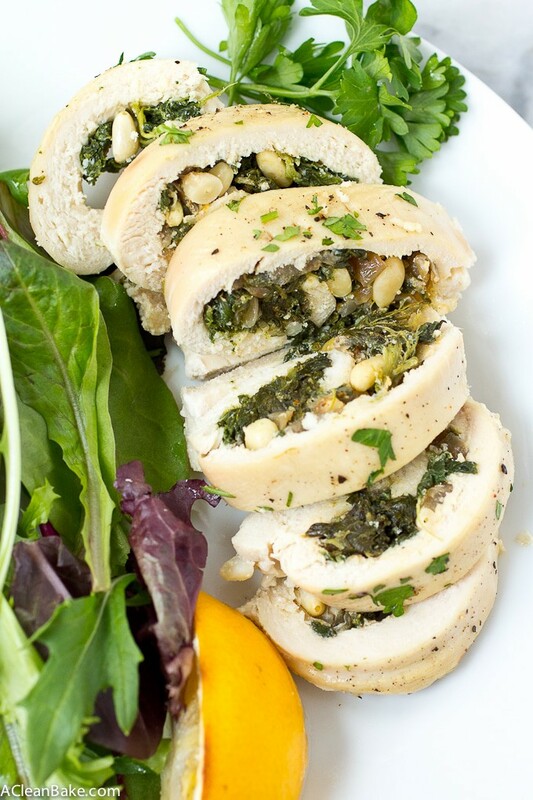 Divide the filling between the three flattened breasts and roll each tightly to trap the filling inside. Place each roll in the prepared baking dish, seam side down. Brush the tops of each breast with oil (optional; promotes browning and crisping). Add the broth and lemon juice (and wedges, if using) to the bottom of the pan. This will keep the breasts moist as they cook. Bake, uncovered, for 45-60 minutes until the tops are golden and the juices run clear. Optionally, you can increase your oven to 450 or the broil setting for about 5 minutes to brown the tops of the rolls a bit more. 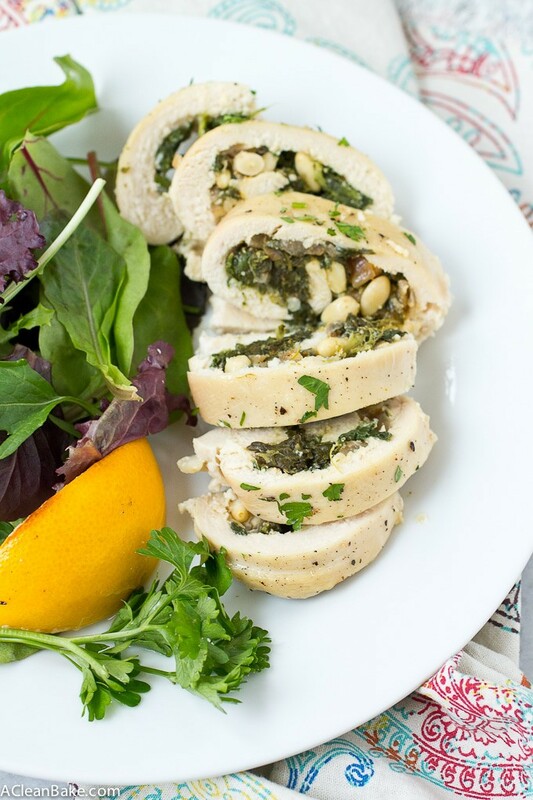 Carefully slice the rolls before serving, and garnish with parsley, if desired. I recommend using frozen spinach for this recipe for simplicity. Start with a 10 ounce package, then defrost and drain it. It should yield about 1/2 of a cup. If you don't have caramelized onions on hand, replace with chopped sweet onions. If you prefer a slightly less sweet filling, replace the apricots with sun dried tomatoes. If you want sweet but don't have dried apricots, you can use raisins instead. If you are having trouble getting your chicken breasts to hold closed or the filling is spilling out, you can thread a toothpick or two through the seam to hold it closed. Yuuuum I need to stuff chicken more frequently to change up my ush! 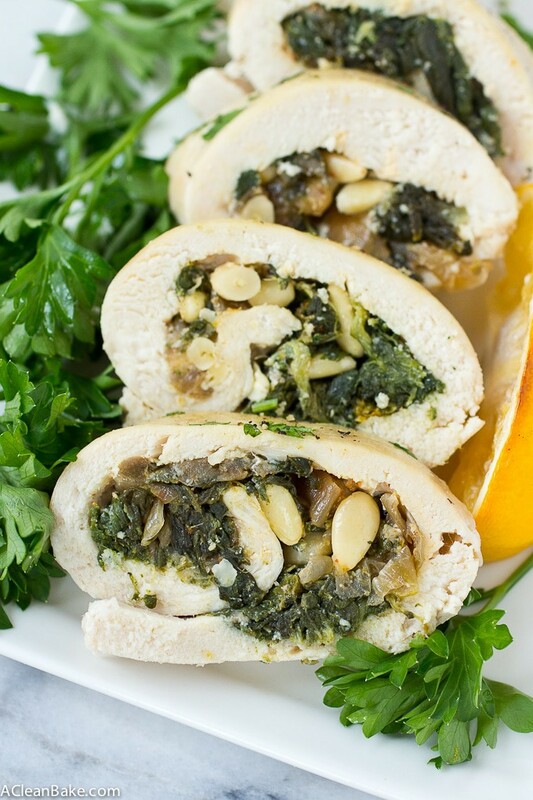 Definitely digging the spinach and goat cheese stuffers! I hope you have a fabulous trip to SF – such a fun city! You totally do! The creamy cheese inside the chicken is the best. Thanks! We are looking forward to the trip! I know you say it’s not fancy, but this seriously LOOKS and sounds SO fancy!! What a beautiful recipe, Nora! Thanks, Tara! Maybe it is fancy, but it’s sure not very fussy!